Welcome to our new look Commercial eSpeaking. We hope you enjoy its brighter fresher design and continue to find our articles both useful and interesting. To talk further about any of the topics covered in this e-newsletter, please dont hesitate to contact us.  Download this Commercial Espeaking Dg Law. The way we live our lives and operate our businesses is always changing. Amongst the biggest changes is the move to electronic communication and information. Despite its potential for quick, efficient communication and the reduction in the need for paper and storage, ironically, many people find themselves surrounded by more paper than ever! Historically, good practice has been to record agreements in some sort of tangible document, a letter, fax or a written agreement and for information to be stored in physical files. Today, emails and other electronic communications are taking the place of letters and faxes. Electronic files such as PDFs, TIFs and Word files are taking the place of hard copies, and information is being stored electronically rather than on paper. · Scanned and sent a document or a letter electronically and then put the original in the post? · Emailed but thought  this is important, should I do it by letter? · Received or sent an email and printed off a hard copy for a physical file? · Generated a report from your electronic systems, printed it and then filed it? Do we really need all that paper? · Providing that certain paper based legal requirements can be met by using electronic technology. With a few exceptions, electronic information is now equally as valid as its paper-based equivalent. The Act provides that information cant be denied legal effect just because its in electronic form or is an electronic communication. So, if you sign a paper-based contract and then agree to a variation by e-mail dont expect that the variation wont be legally binding just because you havent signed a paper copy. A legal requirement that information be in writing, recorded in writing or given in writing is satisfied by information that is in electronic form if the information is readily accessible so it can be used for subsequent reference. Some documents are still required to be on paper  notices required to be given to the public; information required to be given in writing either in person or by registered post; notices required to be attached to anything or left or displayed in any place; affidavits, statutory declarations and similar documents; powers of attorney or enduring powers of attorney; wills, codicils or other testamentary instruments; negotiable instruments; warrants or other documents authorising entry onto premises, search or seizure; court documents; some specific statutory requirements, etc. · The information is readily accessible so it can be used for subsequent reference. The ETA enables people to retain information thats in paper or other non-electronic form by retaining an electronic copy. If the information is in an e-mail or other electronic communication, you must also keep information that identifies where it was sent from, where it was sent to, when it was sent and when it was received. Inland Revenue accepts that records can be stored electronically; guidelines on the retention of business records in electronic format are set out in its standard practice statement SPS 13/01 [TIB vol 25:3 (April 2013) at 820]. It requires taxpayers to keep their business records in New Zealand; this raises issues for people storing their information in the cloud. Taxpayers who want to store their records offshore should apply to the IRD for authorisation before sending their records offshore. However, if either a backup of the business records is retained in New Zealand, or the records to be stored offshore are merely a backup of the records held in New Zealand, then the IRD considers that the requirement to store the records in New Zealand is satisfied and an authorisation isnt necessary. The Electronic Transactions Act has been introduced to facilitate the use of electronic communications and to reduce the need for paper-based storage. The challenge is to look critically at how we communicate and how we store information to reduce all that paper! Even the best of operators can face financial struggles and at such times a wounded business loses friends quickly. When a business starts to look shaky, creditors will often tighten their trading terms for fear of suffering losses themselves. Assertive creditors may choose to seek liquidation of a company or bankruptcy of an individual. These options can lead to very poor outcomes. The result can be staggering liquidation costs, lost jobs for employees, lost owners equity, disruption for customers and losses to other creditors. Sometimes it makes no sense for creditors to shut down a business. In these instances there are legal mechanisms available to companies and business owners to make compromises with creditors possible and, to an extent, put the fate of the company or the business owner/s in the hands of common sense. In the case of companies, voluntary administrations are intended to be a fast and inexpensive alternative to a liquidation. The voluntary administration regimes purpose is to maximize the chances of a struggling company to continue trading. An administrator may be appointed by the companys board, a liquidator, a secured creditor or the court where a company is, or is likely to become, insolvent. A meeting of creditors must be held within 20 working days of appointment of the administrator. The creditors then decide (by a 75% majority in value of debt owed) the future of the company. The creditors may decide to specify the terms on which the company will continue trading and what protection the company will have from existing creditors in a deed of company arrangement. Alternatively, the creditors may decide to do nothing and return the company to the control of its directors, or to put the company into liquidation. A deed of company arrangement will bind the companys directors, shareholders and unsecured creditors, and all secured creditors and lessors of property who have voted in favour of it. It may also suspend the ability of creditors to enforce personal guarantees. Another real strength of this process for the struggling company is that after the creditors have decided that the company will enter into a deed of company arrangement, the court may order that a secured creditor may not exercise its rights, or a lessor may not retake possession of leased premises or chattels. Such orders may be made only if the interests of the secured creditor or lessor will be adequately protected. Adequate protection doesnt necessarily mean equal treatment. In Australia, where the rules are similar, the courts have allowed a company to walk away from its lease commitments, paying the landlord only the amount it would have received in a liquidation of the company. The other creditors were paid in full from funds contributed by a parent company. Theres a similar procedure in the case of individuals who are unable to meet their financial commitments. Insolvent people can apply to the court to have a trustee appointed to convene a meeting of creditors to reach a compromise short of bankruptcy. The content of the proposal is flexible but must be accepted by both a majority of the creditors voting and a 75% majority of the creditors in value of debt owed. It must also be approved by the court. There are very clear benefits for a person to avoid bankruptcy: this includes being able to continue in business, to continue to hold directorships of companies, freedom to travel overseas and avoiding the stigma of bankruptcy. For any looming company or personal insolvency situation where the business owner has the ability to achieve a better outcome for creditors than they would otherwise achieve, these alternative processes should be considered. This might require a contribution of funds from an external source but, in the right circumstances, creditors may also be convinced that the best outcome will come from supporting continued trading. Such compromises can also give directors protection from personal claims, and creditors a degree of control, with the real prospect of a better financial outcome than they might otherwise achieve using the more severe liquidation or bankruptcy remedies. Voluntary administration and insolvency proposal procedures give business owners and creditors the opportunity to work together to achieve an outcome, which is mutually beneficial and has wider positive spinoffs. Lacoste recently successfully defended its rights in the Court of Appeal to its trade mark which depicts both a crocodile and the word crocodile (mark 70068) despite it never actually having used the mark. In making its decision, the Court of Appeal agreed with the High Court that it should first assess the points of difference between Lacostes familiar mark that has been used and the mark as registered (70068). It must then ascertain if the differences alter the distinctive character of the mark as registered (70068). The court held that the differences between mark 70068 and its more familiar mark were insignificant and did not alter the distinctive character of mark 70068, which was dominated by the image of a crocodile. It held the use of the word crocodile added nothing to the distinctiveness of the mark. Despite the result of this case, its important to remember to use your registered trade mark to prevent claims of this nature being brought by your competitors. · A new pay-as-you-go option for paying provisional tax for small businesses with less than $5 million annual turnover. This will give small businesses an alternative to the current system which requires three annual provisional tax payments. In order to take advantage of the proposal, businesses will need to use a cloud-based accounting system linked to the Inland Revenue such as Xero. · Changes to the use-of-money interest rules that govern the interest paid to taxpayers for overpayment of tax and interest charged for underpayment. The practical effect is that the changes will eliminate or reduce use-of-money interest for the majority of taxpayers. · Contractors will be able to elect their own withholding tax rate to better reflect their circumstances and reduce the impact of provisional tax. · Certain penalties will be removed, including the current 1% monthly penalty for new debt. However, immediate penalties and interest charges for late payments will still apply. A recent case serves as a reminder of the wide application of the overseas investment regime and a warning against attempts to try and structure deals around it. Carbon Conscious New Zealand Limited (CCNZ) needed to buy some land to meet its planting obligations for a carbon credits scheme. The land was sensitive under the Overseas Investment Act 2005. However CCNZ (a subsidiary of an Australian company) did not have the time it would have required to get consent  it needed to buy the land to start its planting in time to meet those obligations. After taking advice an arrangement was entered into which involved a new company (Katey LR) being incorporated with the CCNZ general managers wife as the sole shareholder and director. That company bought the land and entered into some contractual arrangements with CCNZ which included giving CCNZ an option to buy the land. These arrangements made the two companies associates under the Act, the result being that there was an acquisition of sensitive land by an associate of an overseas person without consent which is in breach of the Act. The High Court looked at a number of factors including the nature of the breach, the nature of any damage caused or gain made and whether the breach was intentional, inadvertent or negligent. The court ultimately ordered CCNZ to pay a penalty of $40,000 (after applying a 50% reduction for its admission of liability and co-operation) and $6,000 in costs. New Zealands overseas investment regime is intentionally broad in its application. Any attempt to structure around it is unlikely to succeed, and carries with it the potential for significant penalties.